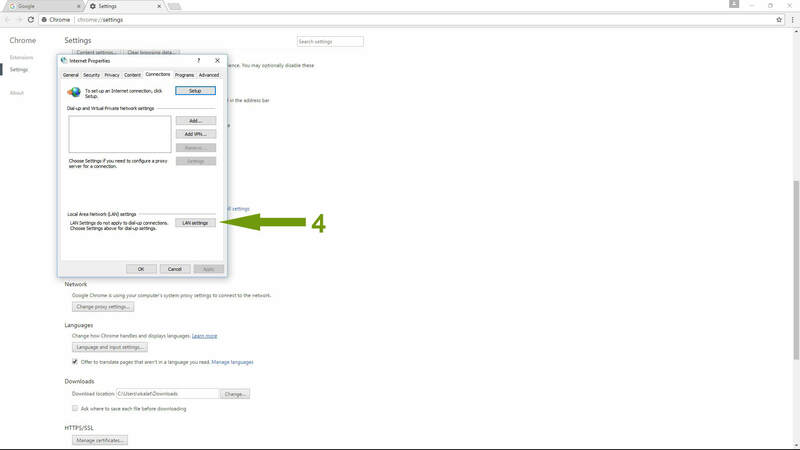 How to Install a Proxy on Google Chrome? 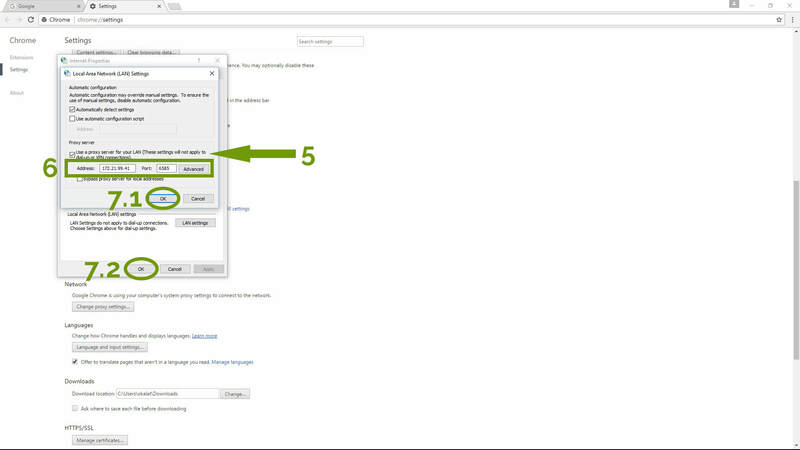 Follow the steps below to configure proxy settings on your Google Chrome browser. 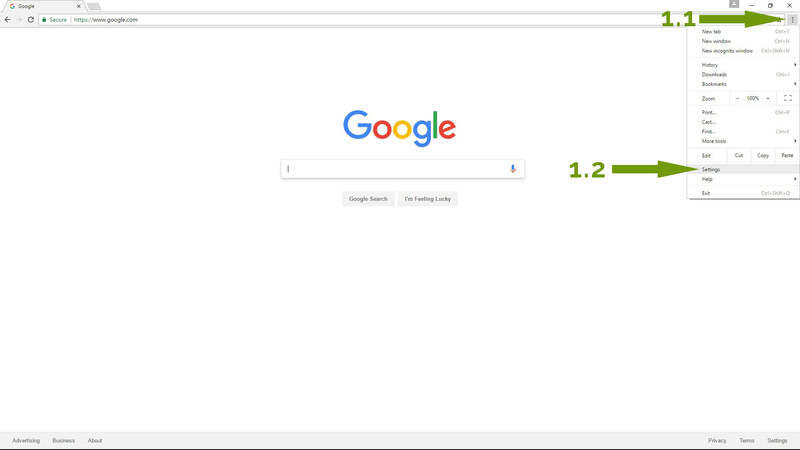 The tutorials use Google Chrome 58.0 but other versions of Google Chrome browser should be similar. 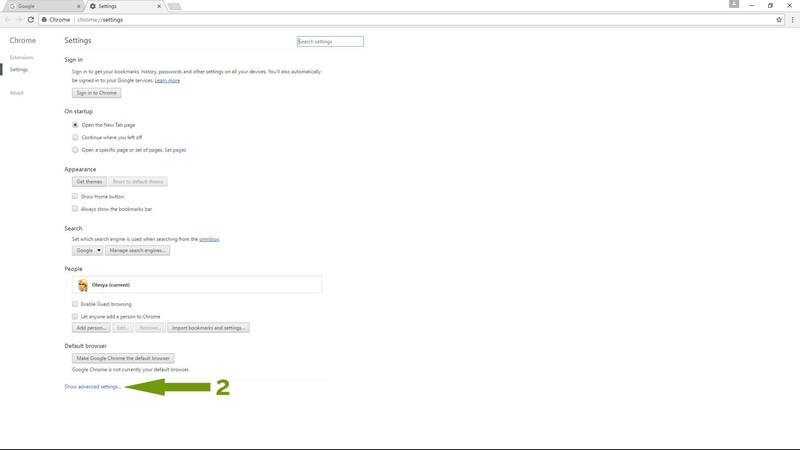 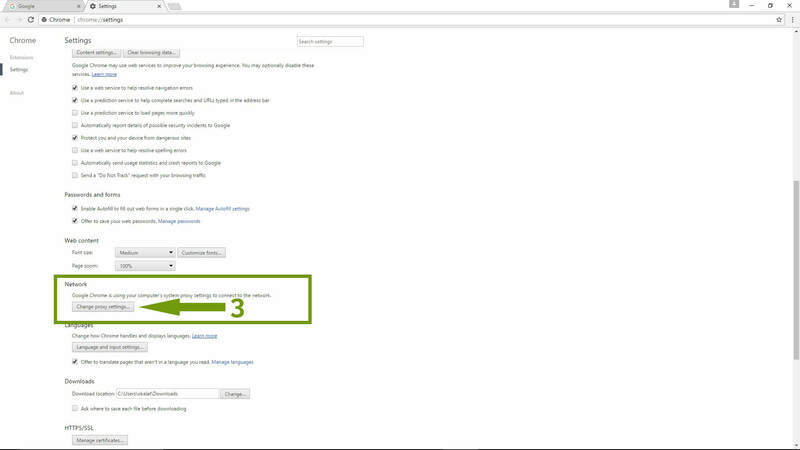 Click on "Customize and Control Google Chrome" in the top right corner of the page and select "Settings"
Scroll down to "Network", and click on "Change proxy settings"
Once the "Internet Properties" window opens up, select "LAN Settings"
Once the "LAN Settings" window opens up, check off the box for "Proxy Server"
Click OK until all windows have closed and start browsing!